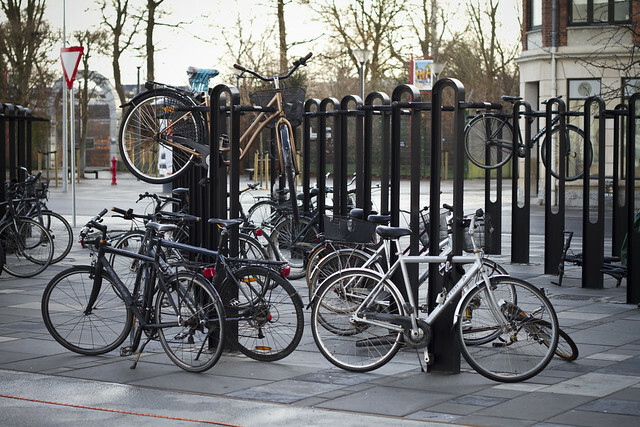 On a recent visit to the northern Danish city of Aalborg - to speak at a Social Media conference - I spotted these innovative bicycle racks outside the Nordkraft cultural centre. 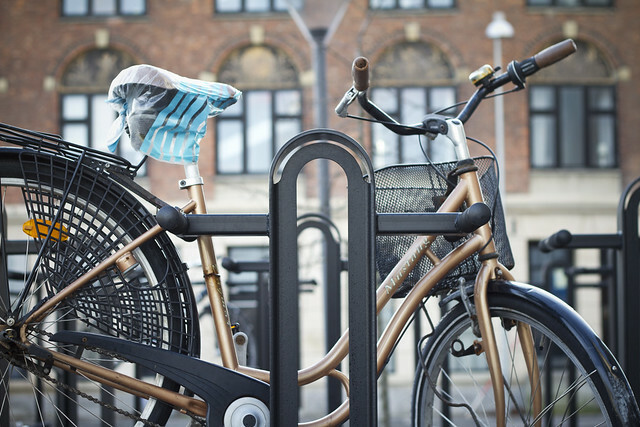 Aalborg has a healthy bicycle culture but they only have a modal share of about 20% or so. 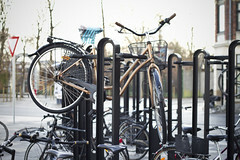 These racks are a variation on the double-decker bicycle rack so often seen in Denmark, and these stands have spots for four bicycles. Two on the ground and two in the air. 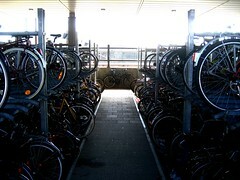 Space-saving solution that was used by two bicycles when I first checked it out and then two more when I left. Plus, it looks lovely. 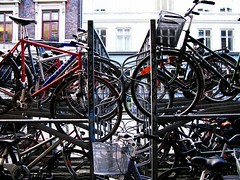 Street art featuring bicycles and a practical parking solution all at once. 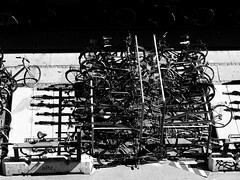 Double decker bike racks are nothing new. 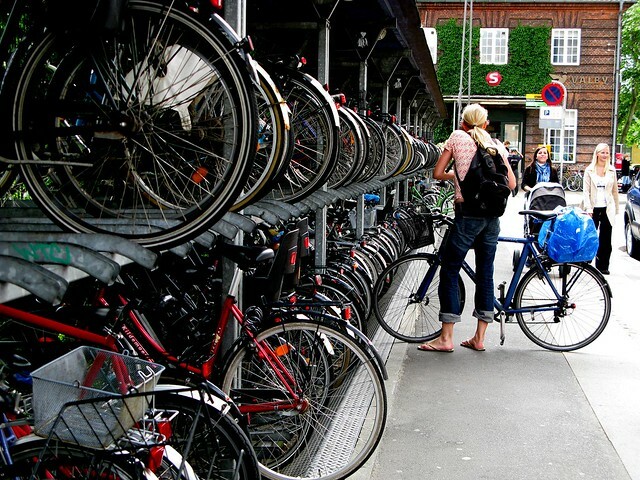 Many places in Denmark feature them - most often, it seems - at train stations. It never ceases to amaze me how people from places where bicycle culture isn't mainstream so often say, "how do you get the bike UP there?!" Once you've seen a Copenhagen supermum lifting her upright bike up onto the top rack in a flash, you realise it's no big deal. If you - as an average healthy person - can't lift 20-odd kilos you may have other issues that need to be addressed. 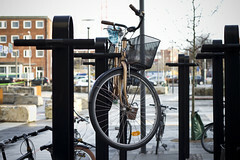 Sure, there are double-decker bike racks that have been designed that make it easier, which is nice, but decades of these racks in action show that in a mainstream bicycle culture they are well-used and work.